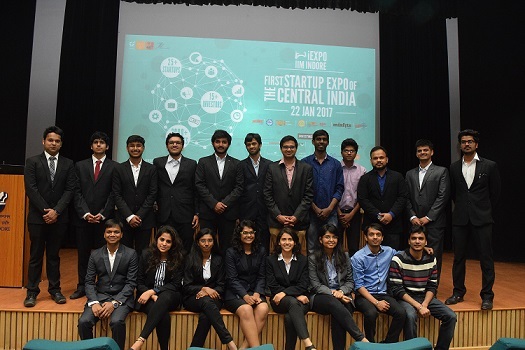 The First Ever Start-up Expo of Central India—iExpo 2017 was conducted at IIM Indore on January 22, 2017. 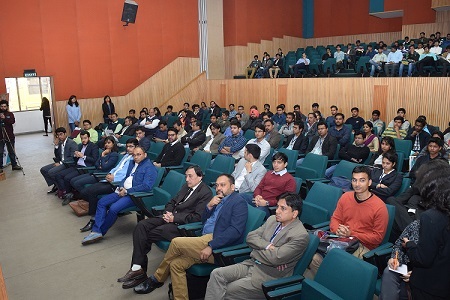 Organized by the Entrepreneurship Cell (E-Cell) of the Institute, the event witnessed an incredible response from investors and mentors —appreciating the enthusiastic start-ups from different fields like drone mapping, food, lifestyle, education, careers guidance, agriculture, healthcare, research, logistics, astrology, chemical, data analytics, environment and entertainment. The investment partners namely, ah!Ventures; Reddy Futures, Venture Catalysts, White Unicorn Ventures, Swan Angel Network, Z Nation Lab, Calcutta Angels and Ankur Capital participated in the event. 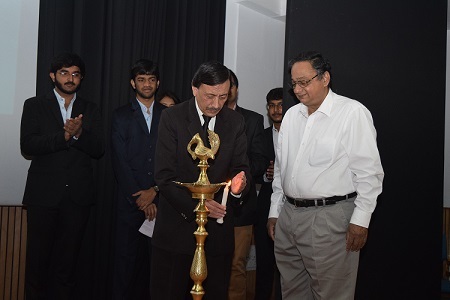 The inauguration of the event took place with the lamp lighting ceremony by Professor Kamal K. Jain, Dean (Academic); Professor D.L. 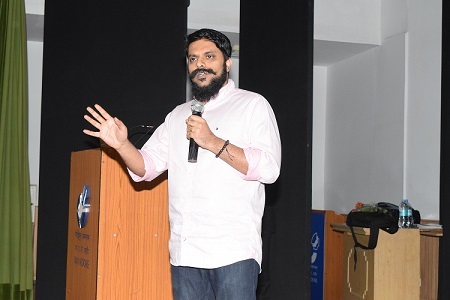 Sunder, Faculty, IIM Indore and iExpo Coordinator; in the presence of investors, start-up presenters and other participants. Professor Kamal K. Jain in his welcome address gave examples of various achievers and highlighted the need to focus and pursue our dreams to make a difference to the world. ‘iExpo is such a dream which has come true—to create a platform where start-up, investors and students meet to explore mutually rewarding collaborations. He then declared the iExpo 2017 open. Many of the investors said that they also offered mentorship to startups they fund. Professor D.L. Sunder spoke of the support the Institute offers to entrepreneurial aspirants including mentorship while on campus and virtual incubation even after they graduate. He talked about the various events organized by the E-cell. 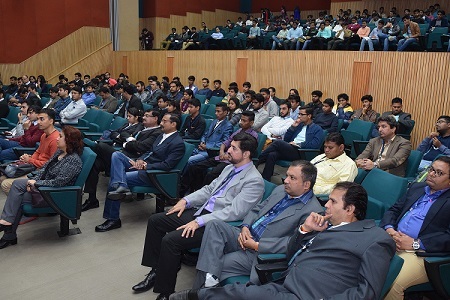 One of the initiatives taken up by IIM Indore is a course on Entrepreneurship orientation that is offered as a core subject to the first year students. He also mentioned that the Institute was in the process of setting up an incubation center and is considering offering an entrepreneurial stream during the second year of the post graduate programme. E-Cell Secretary and PGP participant Shubham Gupta said that iExpo aims to create an ecosystem for the start-up with the mentors and investors to foster the spirit of entrepreneurship. He then talked about different milestones achieved by the E-Cell. Sidhant Sidana, iExpo Coordinator and Sreeram Maganti, Co-coordinator, explained how iExpo would benefit the startups and students. The inaugural ceremony was followed by a short Investor Introduction Session wherein the investors briefed the gathering about their own organizations and they type of start-ups they were planning to invest in. This was followed by presentations form the 35 startups participating the event. The afternoon session was dedicated to Stall Presentations by the startups which helped them share their company ideas, objectives and future plans with the investors. The investors appreciated the innovative and novel ideas put forward by the young entrepreneurs. The event came to an end with the closing ceremony—with a keynote address by Mr. Rahul Panicker, Co-Founder and President, Embrace Innovations. He talked about his innovative device- Embrace Warmer which acts as an incubator for the premature babies and shared his learnings to achieve success. Mr. Panicker said—‘Six babies are born every minute out of which 25-30% babies are premature. They aren’t able to get proper care—may be due to lack of facilities in the hospitals in remote areas, or lack of electricity. Hence the concept of Embrace Warmer came up, which is more like a blanket, is very affordable and acts like an incubator’, he said. He noted that starting with saving the lives of 2000 babies in the year 2012, today this device has saved lives of more than 2.5 lakh babies across 15 countries. Make new mistakes, not the old ones which someone already has made. New mistakes will give you novel learnings and will give your competitive advantage. Don’t expect the gratitude of the world—you may get disappointed and lack focus. Have a life plan, but don’t feel compelled to stick to it. Co-founders are great to have, but realize that you are getting married to your co-founders—as working with a person is more than just professional relationship. Be aware of Bozo explosion. To find the right problem to solve—start solving the wrong problem. Most things that are valuable are also difficult, but not everything that is difficult is valuable. The most important quality in a leader is courage. Entrepreneurship is all about risks, and taking risk needs courage. Mr. Panicker appreciated the efforts put in by the E-Cell and hoped that more events like this would be conducted in future. The event concluded with a Q&A session. The single day event came to an end with lots of enthusiasm among the young entrepreneurs, bringing them all together with a healthy competitive spirit and providing a platform to seek advice and learn from the distinguished minds of the business world.